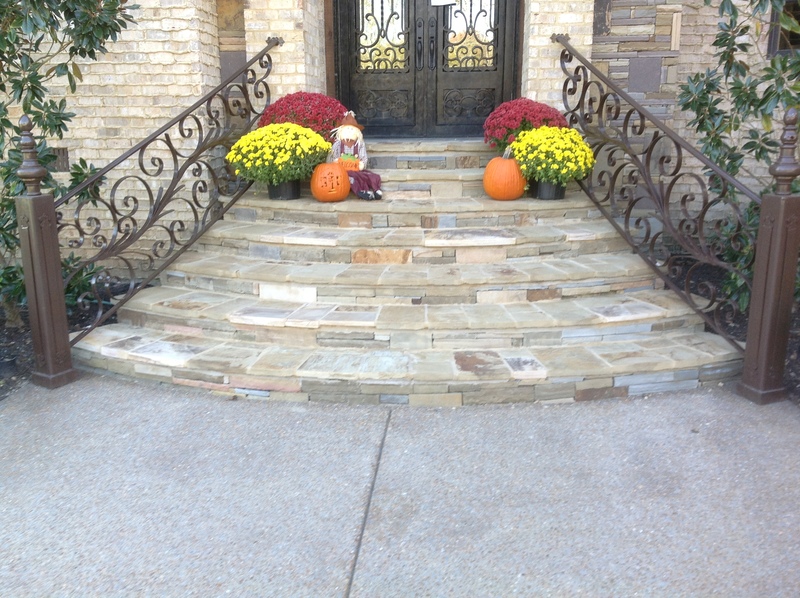 The increasing demand for a beautiful patio or walkway made from stone or pavers is a popular option for Middle Tennessee Homeowners. From Nashville to Brentwood and Franklin, this is a great choice for homeowners looking to increase their functional outdoor space for gatherings or parties, or simply for more quality family time outdoors. Many families call us looking for a way to improve their home’s value while also making a fun spot to relax and take in the beautiful 9 or 10 months of Nashville-area weather. Whether you’re looking for an isolated getaway spot to relax and sip on margaritas or a perfect family and friends gathering location, making your patio a destination for you and your family is as simple as contacting Harpeth Valley Hardscapes! We can design and build a custom patio that fits into the surrounding environment of your outdoor space using various types of stone, stone veneer, or pavers. These patios also go great with built-in grills and outdoor fireplaces to really step up your Spring, Summer and Fall nights! When you’re considering the type of material to use for your new patio, it’s important to look at all the options. Many people have wood decks vs patios. The difference in these 2 materials is huge. Not only will stone or pavers last you many more years, possibly even forever, the maintenance is almost zero. Comparatively, with wood you need to make sure the wood is properly treated for weather or painted every few years. Even then, wood tends to wear out after only a few years of use. The typical wood deck lasts about 10 years before it’s time to do board replacement and 15 years later, it’s possibly time to start over. With wood decks you also have the invasion of insects such as carpenter bees or termites. Plus, a wooden deck increases the value of your propertly only about half as much as stone or pavers will! Working with stone and pavers requires experience and knowledge to get the job done correctly and create something that will last for many decades to come. The experience comes in knowing which type of stone will fit into your landscape’s environment, how to coordinate the shapes of the stones into a beautiful design, edging of the patio or walkway, and how to properly achieve a level stable foundation all for a beautiful finished product.